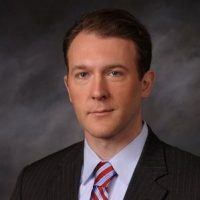 ABOUT: Kirk Chisholm is a Principal and Wealth Manager at Innovative Advisory Group, an independent RIA (Registered Investment Advisor) located in Lexington, MA. He has been providing financial advice to individuals and families since 1999. Kirk’s influence and innovation has promoted change in many areas of the wealth management industry. Kirk provides a different perspective on many commonly held beliefs when it comes to portfolio management, retirement investing, financial planning, inflation, economics, and other personal finance topics. His rare expertise with alternative investments held in self directed IRAs has helped many investors invest in their passion. Kirk is an experienced media personality. He is frequently quoted and interviewed by industry media outlets in print, audio, and video media formats. He writes frequently for industry publications and major media publications. He frequently appears as a guest on various podcasts. Kirk was recently acknowledged as the #7 most influential financial advisor on Investopedia’s top 100. Investment News recently named Kirk as one of the top 10 social media all-stars in the financial services industry. You can find many of his media appearances here. Kirk writes on his company’s blog, you can read his articles here.